Do you need an alternative to iTunes? Not all users of apple gadgets like this application: someone does not like a difficult interface, someone lacks important functions, in their opinion. And the developers iphone they do not deal with the improvement of this program: in the entire history of the brand, no fundamental changes have been made. Therefore, third-party programmers have long been engaged in work on an alternative to iTunes. These applications allow you to copy files and music from iphone to computer and back, install programs, in general, completely replace the inconvenient apple development. In addition, these programs are often provided with unique functions that greatly facilitate the operation of the device. Analogues iTunes a lot, the ideal has not yet been found, so each user selects the optimal one for his own purposes. We make a brief review of applications that have become an alternative to aytyuns. 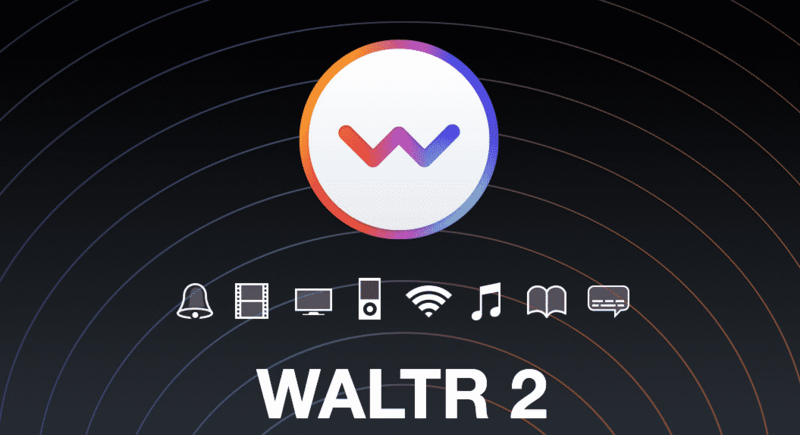 WALTR 2 - A great replacement for aytyuns in terms of downloading content. Managing file transfer is as simple as possible. When you activate the application, a window opens where we see a list of connected devices. In this window, you need to drag the files to be transferred, and they will be copied into the memory of the iPhone or iPad. Work with him faster than with iTunes. The application converts the transferred files in the desired format in seconds, while the picture quality is not lost. Data can be transmitted via Wi-Fi. It is compatible with iPod (Shuffle Сlassic) and multimedia players. Quickly loads a large amount of information on mobile gadgets. In order to become a full-featured replacement for iTunes, the application lacks the ability to back up, view and delete existing files. IMazing - A more comprehensive alternative to iTunes. 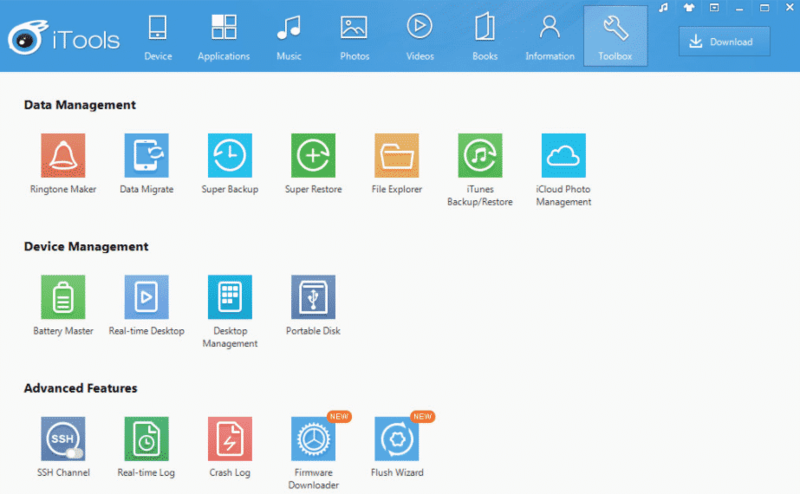 Here, after turning on the application, you can see all the information about the connected device, create backup copies of it, transfer data and settings from one device to another. Using this application, you can transfer files from the gadget to the computer and back, you can access messages, contacts, notes, etc. What distinguishes the application from other iTunes alternatives is the ability to backup and store calls and dialogs separately. For all their advantages, these two programs have one common drawback - they are paid with a trial period of validity. There are also free versions of alternatives for iPhones. ITools - this program is compatible with the operating system Windows и Poppy. You won't have to wander in the iTools menu - all versions of the application include an interface in Russian. Working in iTools is very simple, copying music does not require a long synchronization, you just need to drag the file (just like in Android devices). The iTools program works with all types of content and automatically converts the format. Through iTools, you can access the device files, install programs and make backup copies, with only messages or photos, and not the entire memory of the device, as iTunes suggests. 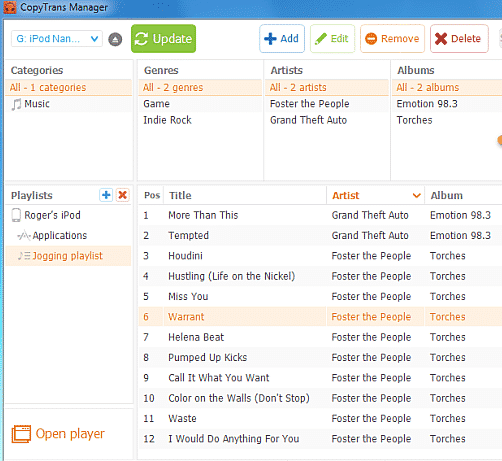 ITools version for Windows offers to use your own software library, which allows you to completely abandon iTunes. 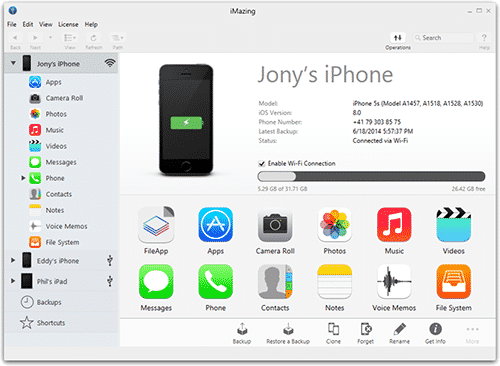 You can create ringtones in iTools - and this process is much easier here than in iTunes. Itools is able to clear the device of accumulated debris, check the correct operation of programs, edit the home screen and even turn off the device. SynciOS - a free alternative to iTunеs with a wide choice of features. It is easy and pleasant to work with it: the program interface is clear despite the lack of a Russian version. This program can work with several devices connected to the computer. 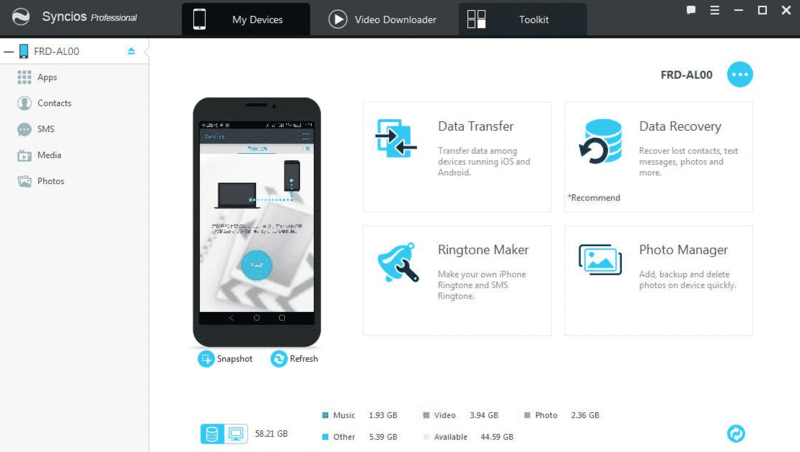 With the help of the program, you can export and import ringtones, photos, videos, etc. Moreover, audio and video formats are converted automatically. Manage albums and delete too much here is impossible - according to user feedback, this is not enough. But unlike iTools, the iTunes combine is not required. Best of all, SynciOS works with music and other multimedia files. But to see contacts and notes, you will have to disable cloud storage. Developers are constantly creating new versions of this program, improving its functions and complementing it with new features. Coptrans manager - a godsend for lovers of simple work with complex devices. The program interface is as clear as possible; all connected devices along with complete information about them are reflected in the navigation pane. Here you can edit, add or delete media files. There is a backup function of data, for example, messages, contacts, photos, etc. Files are imported by simply dragging and dropping from one window to another. Music and video can be played on the built-in player, you can add covers and texts, there is a search for a large amount of data. The program has a good speed and does not hang. Many users choose this program as an alternative. There are a few alternatives itunes for mac. For example, among users the program is popular Listen. Its interface is very similar to the previous version of Aytüns, but it is much easier to understand it - there are a minimum of controls. Ecoute connects to social media profiles and Apple libraries, and also sorts content by various parameters. There is a version of the program for Windows, so this is not only a successful replacement for iTunes for mac, but also a universal solution. For linux not many options, but there is a way out - free Tomahawkworking with all operating systems. The choice of the iTunes equivalent is rather a matter of taste, but most often users pay attention to the cost of the service, the convenience of its interface, and also their belonging to the desktop PC.